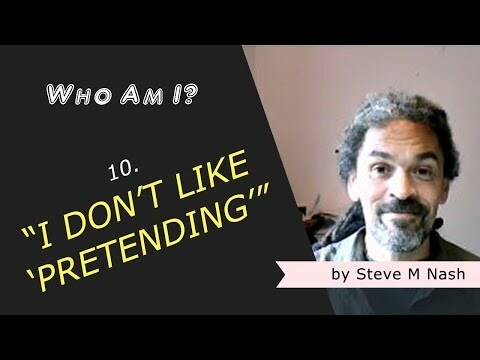 I Don't Like 'Pretending' or 'Pretentiousness' | Who Am I? Ahh, ‘winging it’! Something I’ve told myself I’m just not that good at. Despite recording 100s of videos where I didn’t really know what I was going to say until I said it (see below, for one such example). Despite being a living embodied momemt-by-moment example of ‘winging it’ (as you are). But, still. I don’t like winging it’. I don’t like pretending. I don’t like bull-shitting. I’m someone who pretends he doesn’t like pretending; I’m honestly dishonest; I’m unpretentiously pretentious. I really have no f**king clue!